This world we live in is a messed-up place. One of the reasons I read is to keep from giving in to apathy and ignorance in the face of all that messed-up-ness. I try to be selective, though, because not all reading is created equal. Reading the news causes, for me, a dilemma: it leaves me feeling depressed and hopeless, but sticking my head in the sand to avoid those bad feelings doesn’t sit well either. Reading fiction that deals with difficult issues is the most constructive way I’ve found to engage with tough topics. Novelists rarely leave me stranded, and they almost never plunk me down in an impossible situation without at least a tiny glow of light to see my way out. I need that glow, man. I also liked the book’s focus on post-war Japan, a subject I find infinitely more interesting than Europe during the war years, which has been mined so extensively I can’t believe publishers haven't declared an official moratorium on it. 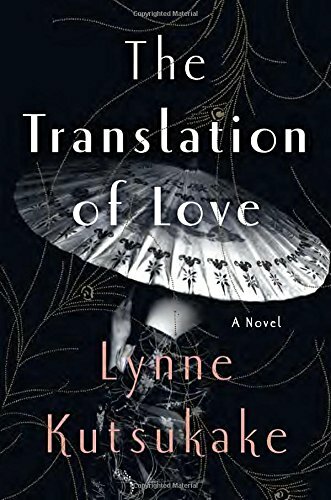 I think most readers like the thrill of discovery that comes with reading something that feels new, that offers a fresh perspective, and The Translation of Love does just that. With regards to Doubleday and NetGalley for the advance copy. On sale April 5!